We’re Closing Escrow, Can I have my Keys? Before keys can be transferred from the buyer to the seller, closing escrow must be completed. The term closing escrow means the latter part of escrow and is the last step before transfer of title and keys can take place. Escrow is the process of closing the transaction which you can read more about in our article Closing Time & Escrow Process. Typically the time it take to close an escrow is 30 days but it can be longer with different types of financing and it can be shorter when buyers are paying cash. The final day has arrived, in many states it’s referred to as closing and in others it is considered settlement. Regardless where you’re located, buyers and sellers are excited to finally be at this point in the transaction and are ready to get the deal finally done. Before the closing can be completed escrow must balance the closing statement. This is the action where the funds from the buyer whether paying cash or from the lender if obtaining a loan are added to the closing statement (used to be HUD1) along with any other funds the buyer needs to provide are balanced against the sellers proceeds and loan payoff to ensure everyone is paid properly. The sellers or buyer side may also see additional credits and debits for negotiated closing costs and repairs. At this point in the transaction everyone should be getting excited and ready for closing. 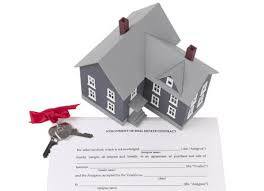 Once the closing statement has been balanced the escrow company will release the file or transaction to be recorded. Upon successful recordation with the county recorders office, the deal is then official. Only upon confirmation that the deal has been recorded can the keys be given to the new buyer. Usually the same day the deal is recorded but sometimes a couple of days after, the buyer and seller will receive their closing packets. The closing packet is a file from escrow and it’s contents depends on if you’re the buyer or seller. Buyers and seller will both receive a copy of their closing statement in the file showing the credits and debits for their side only. Buyers may also receive a check which would be a reimbursement for any overages paid from the lender or the buyer that caused the closing statement to be out of balance. Sellers will also receive a check for their payout minus any fees associated with the transaction and loan payoff. For more information on the escrow process and closing escrow, please contact us or leave a comment below. We’d appreciate the opportunity to assist you!